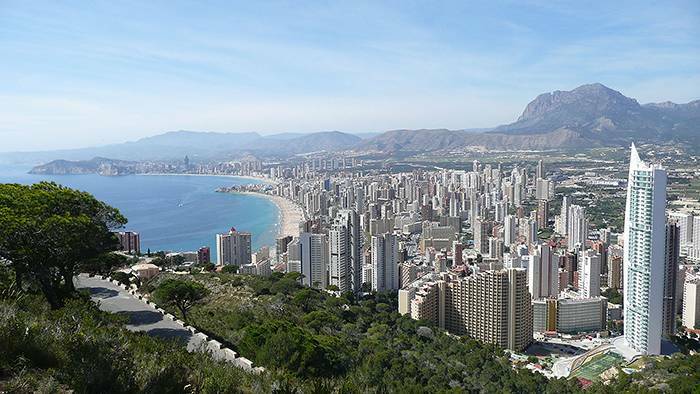 Since 2007, the popular ITV comedy series Benidorm has been entertaining viewers and showing some intriguing locations to visit in the Spanish resort. We take a look at the real life locations from the series and explore what Benidorm has to offer beyond the ‘Solana Hotel’ and ‘Neptune’s Bar’. Many of the iconic poolside scenes are actually shot in two different sister hotels; the Sol Pelicanos and The Ocas hotels. Filming carries on while guests are staying, but don’t expect it to be exactly as you see on screen. The Solana reception is a purpose built set, however the pool and swim up bar scenes are filmed on location at the Sol Pelicanos. Neptune’s is depicted as a bar within the Solana Hotel but it’s filmed a short walk away from the Sol Pelicanos at Morgan’s Tavern. Easy to spot if you’re in the area, Morgan’s is shaped like a pirate ship and hosts live acts and cabaret shows daily. Filming takes place in the day and blackout curtains are used to create an evening atmosphere. Near Playa de Levante, Heartbreak Bar is often used by the show when characters hit the town for a few drinks. There’s live music day and night, plus they serve coffees, cocktails, sangria and beers – something for everyone! Remember the moment when Geoff eagerly goes to meet his date ‘Lesley’ who actually turned out to be Les? That moment made the scene memorable for more than just the gorgeous architecture. 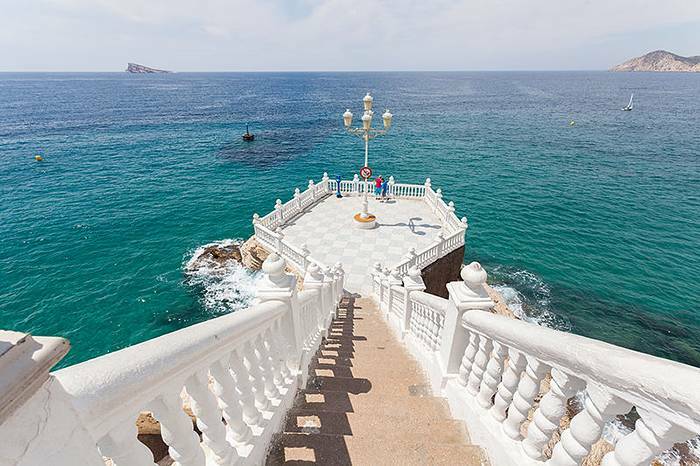 A popular tourist attraction in Benidorm, the Balcón del Mediterráneo is a lookout point which has stunning views over both Poniente and Levante beaches. The Benidorm Palace was taken over by Mel and Madge in series 3 of the show and is a real cabaret club in Benidorm. The club stages glitzy live shows with various acts including music, dancers, acrobats and magicians. Levante Beach is most often used for beach scenes and the Old Town area used for street scenes. Popular family friendly theme parks such as Terra Natura, Terra Mitica and Aqualandia have also featured in the series. Seeing the sights of Benidorm on the popular comedy show may have inspired you to take a holiday here, so what’s beyond the filming locations featured in the show? If you’re keen to experience traditional Spanish food avoid areas such as Lepanto and La Calle Mallorca areas, where pizzerias and all day breakfasts are the main attraction. Instead explore the lanes in Santo Domingo, part of the Old Town, for some great tapas. Spain is of course the home of paella and Benidorm is no exception. Local dishes also feature rice, vegetables and fish and among the most popular is the delicious arroz de boquerones y espinaca – rice with anchovies and spinach. Try a cerveza con limón, typically Spanish beer mixed with cloudy lemonade, for a Spanish twist on a British shandy. Visit Aqualandia, one of Europe’s biggest water parks. Adventure seekers can experience Europe’s highest water chute ride, parents can relax on one of the many sunbeds and there are specialist areas for very young children. 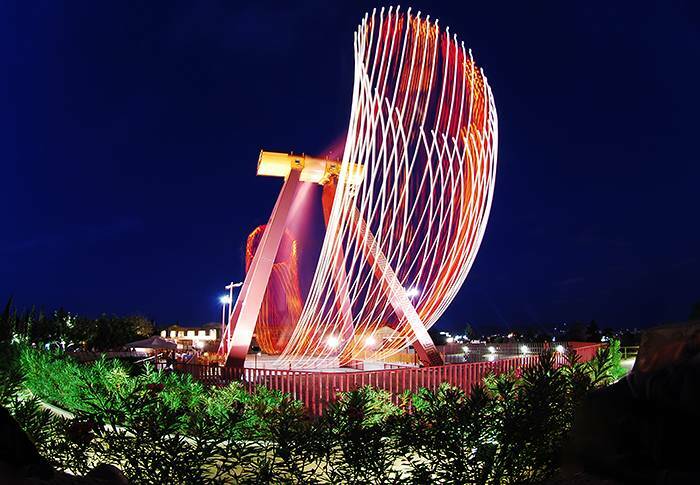 For theme park thrills try the adrenalin highs of the roller coasters and gravity defying rides at Terra Mitica. Step back in time to ancient civilisations where live shows bring pirates, gladiators and the ancient greeks to life. The local beaches have plenty to keep kids occupied. As well as building sandcastles and swimming they can play on water based bouncy castles and try water sports. For evening entertainment cabaret clubs offer such as Café de Benidorm showcase comedy and variety acts. Or Fratellis piano bar serves cocktails and live music from well-known local musicians. Many bars are family friendly and have games rooms for children or offer kids entertainment alongside live music for parents. Bars which welcome children in Playa de Levante include The Tropical which has live acts every night plus Pancho’s Pub – a showbar which also offers early evening entertainment for children plus a play area. For a quieter day on the beach visit Poniente beach. Just like Playa de Levante it has blue flag status, but is less popular with British tourists. In the summer, the Old Town hosts an artisans market with locally produced gifts including paintings and ceramics – perfect for an authentic holiday souvenir. 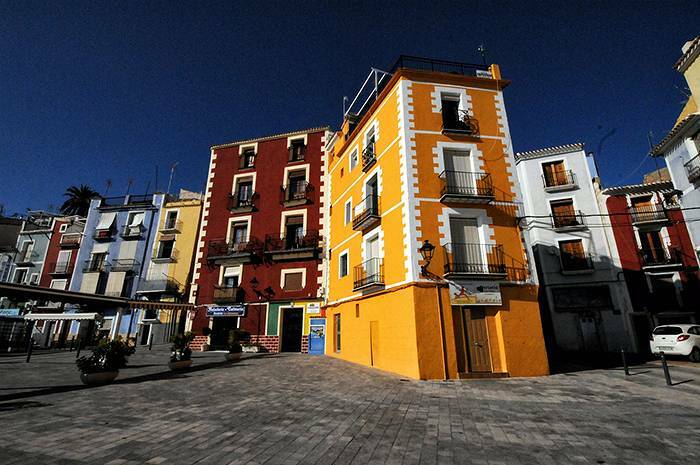 Or take a trip to the nearby town of Villajoyosa, home of Spain’s oldest chocolate factory. Factory and museum tours are free and of course there’s a chance to buy their delicious chocolates in the on-site shop. The surrounding village has quaint coloured houses, plus a three-kilometre stretch of beach makes this a chance to experience a different part of Spain without travelling too far.